Re-grow vegetables, make the perfect gift for a sick friend, or seriously upgrade your morning breakfast routine. Whether you've been hoarding Mason jars for years or just have a few empty pasta sauce bottles in your cupboard, there's a good chance you've been waiting for jar-spiration to strike. 1. Make a soup mix to give to a sick friend...or save for the next time you're not feeling 100%. I've always loved the idea of being the kind of friend who hand delivers chicken soup to someone struck down by a nasty cold but alas, making soup is time consuming and transporting hot liquid is frightening. 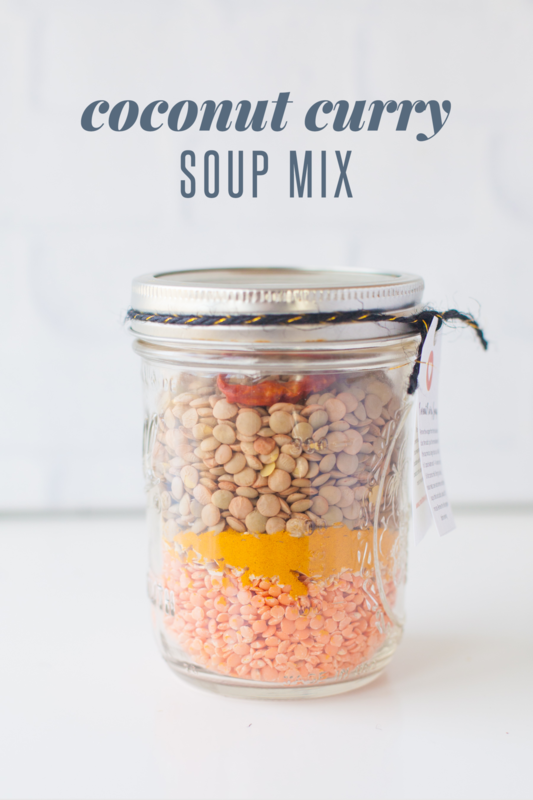 When I came across these soup mix recipes my dreams were reignited: these mixes are literally the just add water-version of the gift I'd been imagining for years. You can find six different soup mix recipes here, along with downloadable gift tags. 2. Make the perfect yarn storage jar by adding a lid with a hole. If any of your hobbies include yarn, there's a good chance you're on the look out for new storage and organization hacks. This one is super simple but also really effective. 3. Try repurposing your empty jars by making your own tiny herb garden. 4. Or take it to the next level and try re-growing your vegetable scraps. Romaine lettuce, leeks, celery, and green onions can also be re-grown starting with a jar and some water. This BuzzFeed post has more details on re-sprouting and planting, but for vegetables like lettuce and green onions, the start of the process is super simple. 5. Use a jar with measurements to help you make your favorite dishes even faster. This clever hack came straight from my colleague Rachel who makes this incredible chickpea pasta once a week, if not more. After noticing how regularly she was making this dish, she decided to come up with some hacks to make her meal prep faster. One of these hacks was to find a jar with measurements, so she could eliminate the need for a measuring cup when pouring her pasta. 6. Or try this simple garlic peeling hack to save even more time in the kitchen. Yup, this hack is as easy as it looks. Grab the number of cloves you need for whatever it is you're cooking, pop them in a jar, screw on the lid, and shake until the peel comes away from the garlic inside. 7. If you, like me, compost your fruit and vegetable scraps, try taking an empty jar with you to picnics. When you're in the habit of composting, it feels so weird throwing food waste in the regular trash, even when you're away from your own home. Once picnic season rolls around, bring an empty jar with you on your adventures and bring it home filled with any compostables that would have otherwise gone into the park trash can. 8. 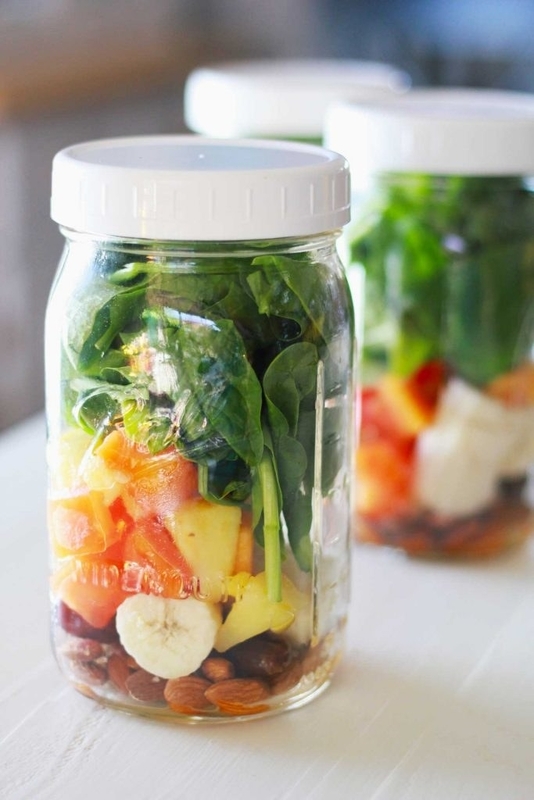 Use a jar to store and transport leftovers, in lieu of a plastic container. The concept of Mason jar salads isn't a new one, but since I'm not one to pack myself many salads, I've found that jars are actually great for all leftovers. If you make a lot of curries, stews, or soups, jars should be your new best friend. They're air tight, easily washed, and more importantly: re-usable. 9. 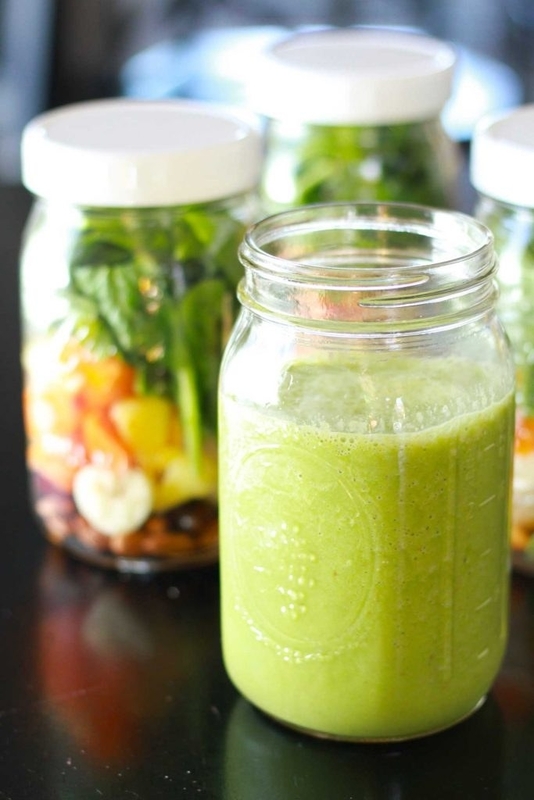 Prepare for your morning smoothie by filling a jar with ingredients, than keeping it in the fridge overnight. Fun fact about me (that you definitely didn't ask for): I have a green smoothie each and every morning. It's delicious, filling, and a lot speedier than my alternate breakfast choices (oats or Vegemite toast, FYI). As quick as it is to whir my banana, kale, yogurt, peanut butter, and almond milk together, throwing it all together in a jar the night before is a step that saves me precious time when I have a particularly busy morning. If you want to try a green smoothie for yourself, this five-ingredient recipe is a true winner. 10. Or become one of those people who swears by their overnight oat recipe. 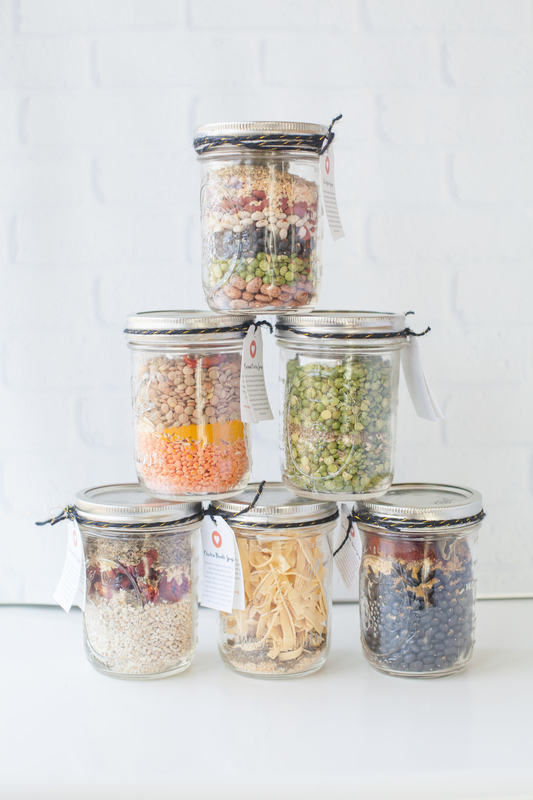 If smoothies just really aren't your thing, jars are also here to upgrade your morning oats. The idea of overnight oats is — as you can probably guess — that you make your oats, then leave them overnight to get extra creamy and delicious. Tasty have four amazing recipes that look equal parts easy and, well, tasty. 11. 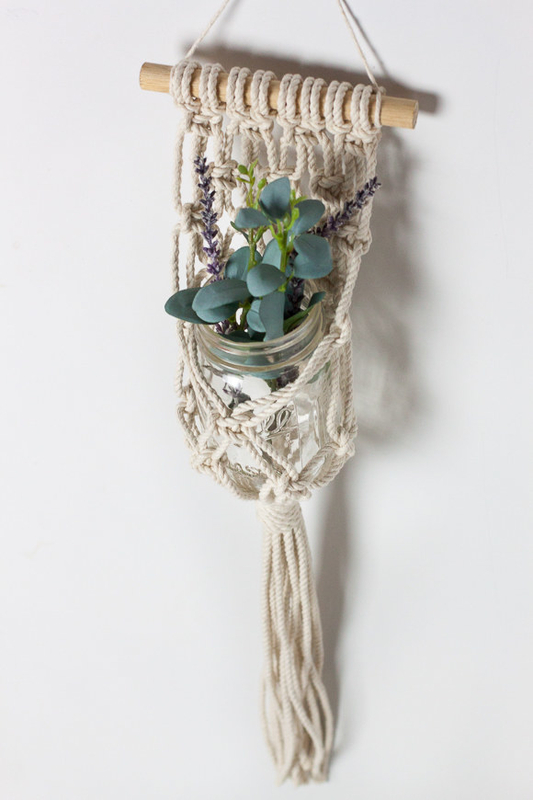 Make a pretty plant hanger that could be made in an afternoon with a jar, some rope, and a length of dowel. This blog post explains in pictures and videos how to make this hanger with a series of simple knots. 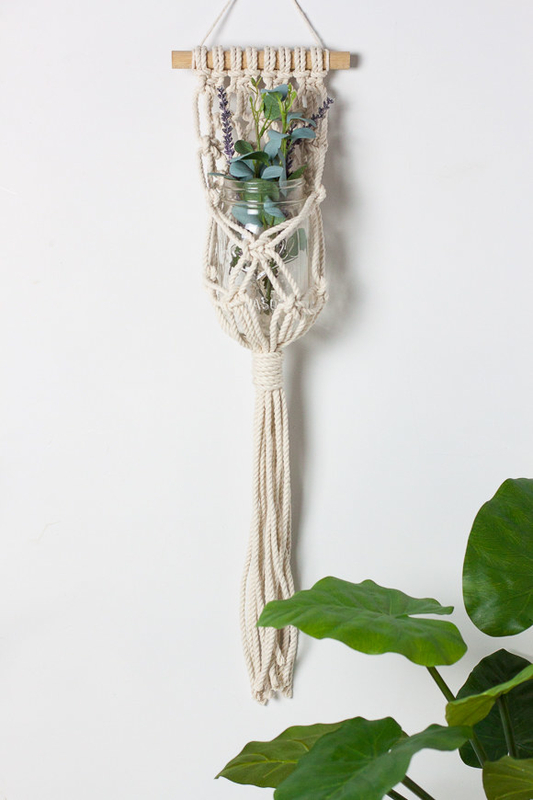 Once it's finished it can function as a vase or succulent planter — just remember to add some gravel or pebbles at the bottom of the jar for drainage! 12. Find a pretty storage solution for your matches that will look great sitting by your candle collection. Fill a jar with strike-anywhere matches or glue the strike section of a regular matchbox under your jar or inside the lid. 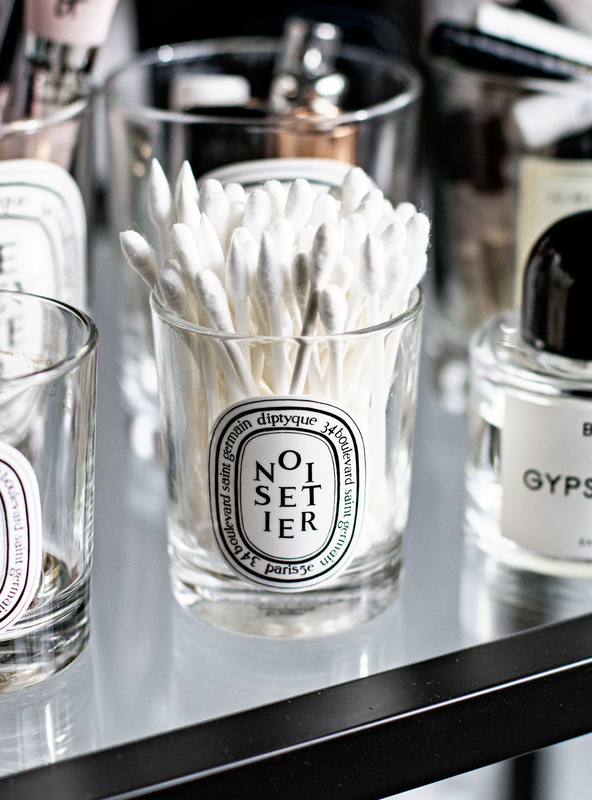 A match jar is also a lovely — and totally practical — addition to your bathroom, especially when you're expecting guests. 13. 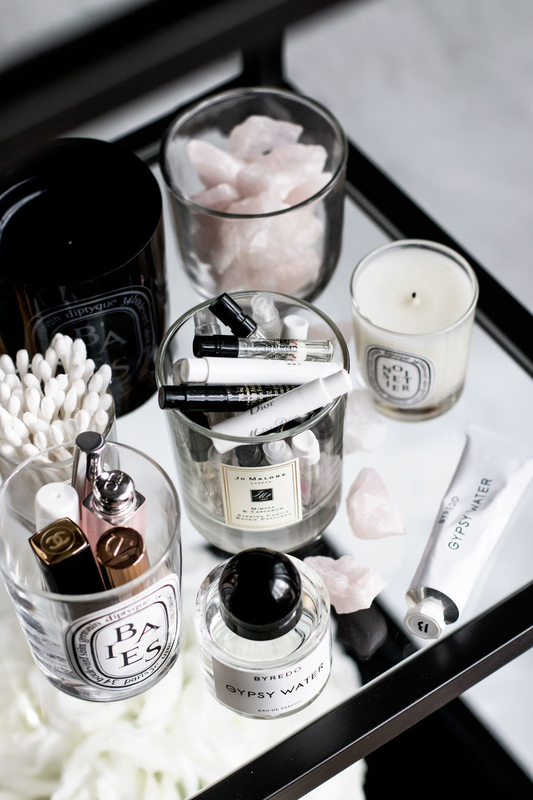 And turn your empty candle jars into makeup storage. Candle jars are the prettiest in the jar world, but they're also the most confusing to re-use. Unless, of course, you know how to get them completely wax-free. This post explains it in more detail but essentially, you can place a candle (already completely cool) in the freezer for a few hours, then ~pop~ the wax out using a butter knife. Who knew?! 14. Get your pet treats out of their ugly packaging and into a jar you won't want to hide away in a cupboard. Whether you want to fancy up your new container or leave it as it, a sleek glass jar sitting on your bench will give you easy access to your treats without being an eyesore. 15. Turn an empty Mason jar into a fully functioning cocktail maker with a shaker lid. Beyond their cocktail-making abilities, these shaker lids are also perfect for anyone who makes their own seasoning mixes or dry rubs. The best thing about these is that they can be reused again and again, depending on what you want to shake at the time. Get a pack of two from Amazon for $15.85. 16. Or add a pump lid to the top of a jar to store and dispenser hand soap or cleaning products. This idea is particularly useful for people who make their own cleaning products and soap, or who buy in bulk. This two-pack of lids also comes with its own cleaning brush, so it can be used for a long, long time. H/T Journey to Zero-Waste for their inspiration and helpful tips!